Just when we at The Stream thought we’d said what needed saying about last week’s March for Science — its patently non-scientific political and philosophical biases — along comes something even more outrageous. Bill Nye, honorary co-chair of the March, released his new Netflix program, Bill Nye Saves the World. I didn’t watch the show. I only know two things about it: its name, and a certain song he featured in it. That’s plenty. It’s enough to persuade me to cancel my Netflix subscription, which I have just done. 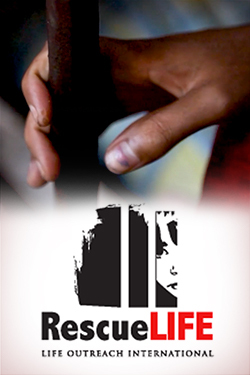 I urge you to do the same. The name of his show is bad enough. Maybe we’re supposed to take it tongue-in-cheek, with a sense of humor, since it’s so over the top. I find that hard to do, however, for two reasons. 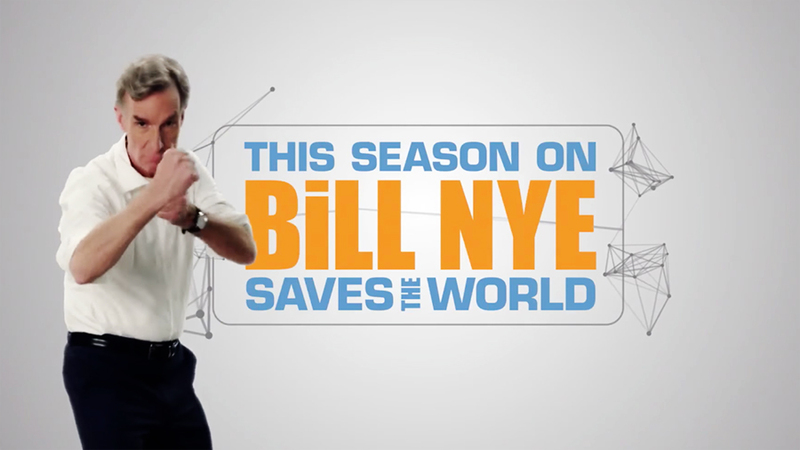 One, Nye has become the face of a movement that actually believes science will save the world. It thinks that all of our important problems are scientific problems, and all that’s standing in the way of solving them is that the world doesn’t pay enough attention to the answers science offers. A particularly progressive political brand of science, I might add. Nye is tiny by comparison. Pathetically so. Two, Nye is an outspoken atheist. It’s impossible to ignore the swipe he’s taking at Jesus Christ, whom God actually did send to save the world. Now let’s keep this in context: If his “Save the World” shtick weren’t so out of touch with reality it would be laughable. Jesus Christ towers over all of human history for his teachings, his wisdom, his love and his influence, not to mention his supernatural power and his resurrection from the dead. Nye is tiny by comparison. Pathetically so. I don’t even want to think about how God Almighty views this kind of thing. Nye will answer to Him for it. Of course we’re all very small by comparison to Jesus. To invoke that comparison on purpose, though, as Nye has done, makes him look smaller yet. Save the world? Hah! Not a job for any of us, but especially not for one who shrinks himself as small as he has. Did I say small? I haven’t told you the half of it. There’s also the Rachel Bloom song he featured on the program. I can’t include the video here. It’s too grotesque. I’ll link to a source for it, but don’t go there unless you’re prepared for what you’ll see and hear. Apparently Nye thinks science somehow justifies this “choice” — and the way she expresses it — which is another point where he’s become too pathetic to be laughable. This is how Bill Nye “saves the world.” He’s big on science but he knows nothing — nothing! — about what’s tearing the world apart, or what’s needed to pull it back together again. My only hope in all this is that Nye might have gone so far over the top this time, that the world will start to wake up. We’ll shake our collective groggy heads and say, “No. No, that can’t be right after all, can it?” We’ll start looking around for something sane for a change. There’s only one sane answer available, and it’s found in the One who really did come to save the world: Jesus Christ. An atheist? Not a scientist? Netflix? Can you spell t-h-e-e-n-e-m-y? I recommend never intentionally listening to anything this devil says, hide the children and switch to Pureflix. Agree. We switched to pureflix in January and is one of the best decisions we’ve ever made. There’s just too much garbage on netflix and even OTA tv. LOL! Two more threads about Bill Nye. All this wailing and gnashing of teeth is accomplishing is giving him more publicity. “LOL!” is what SJWs use when they can’t formulate an argument. No wonder you use it so much. Meanwhile you are exposing yourself for the fool that you are–no need to argue–you shoot your self in the foot by your own mouth. Does anyone eles want to get off the marry -go – round of the same old line’s from Mr. Horton? BOOP BOOP BEEP BEEP (Austrian accent) I’LL BE BACK. Hannah, I am glad you are hip enough to clue we old folks in to how these bots and things work. I think you may be exactly right. I blocked the fool long ago and my blood pressure was never better. I love your heart, girl! I advanced to 63 on Palm Sunday this year. You’re my hero. And my dad’s 67 and is the most computer savvy man I know in that demographic so you doin’ good. Tell your Dad I congratulate him for being the kind of Dad who reared a girl like you! How ironic that you’d say he’s playing us, Timothy. Your responses here are as predictable as 440 Hz when the oboe plays A. You don’t realize how you’ve adopted the role of one who’s willing to be played. I won’t say we’re playing you, since it’s neither our choice nor our desire for you to pop up so predictably with the same tired, repeated responses to every stimulus. We’re not doing it to you, you’re doing it to yourself. There’s never anything new in your answers; only ridicule in limited modes on limited topics. I’d welcome it if you could share some substance instead. Rather than acting as if you’re being played, that is. It was claimed, in the end times the demons will have unusual power. This is but one example. Years ago, Pope Benedict prayed that 2017 would be the start of the Triumph of the Immaculate Heart. We are only a few weeks away from the 100th anniversary of Fatima (May 13th, 1917). May GOD burst like lightning upon his enemies. the point of the show is showing how these issues are a major decisions in our lives at this time and how we should approach these topics using logic. I don’t see why everyone is acting hostile to his entire show, the whole point is that he talks about controversial issues and his scientific viewpoint. Those who act hostile are being just as ignorant for not wanting to see the other side of the argument. for example his GMO episode. the main point was that there was no negative effects to eating GMOs yet a lot of people still have the right to choose. global warming and how our lives will be affected. etc. but of course he talks about homosexuality and everyone wants to throw a fit and delete their netflix because “how dare they”… i say to those people before you delete netflix, are you aware of the variety of shows on tv, netflix, hulu,etc ? acting like netflix did something wrong and spreading that point around doesnt make sense. SO i guess if you dont like what he said and dont agree with it then dont watch the show, dont blame the distributer.